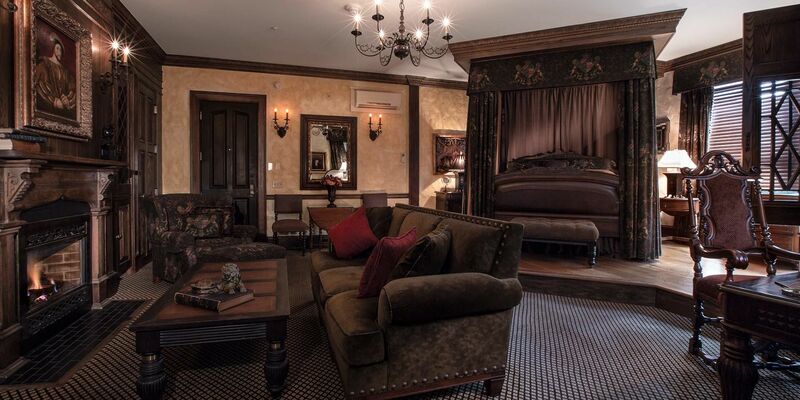 Spend your unforgettable Newport, RI vacation in one of our larger guest rooms, English Tudor, which boasts strikingly beautiful carved woodwork with traditional linen-fold oak panels and handcrafted stucco walls. 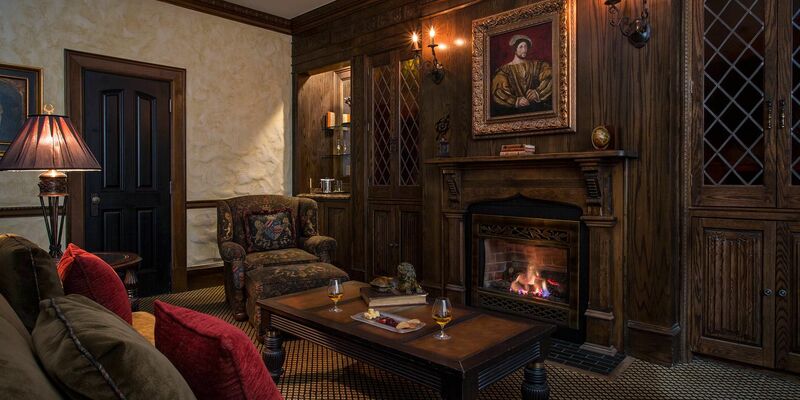 Experience Medieval grandeur in the living area while you sit among a handmade George Smith sofa or overstuffed chair facing an antique Tudor-style fireplace. 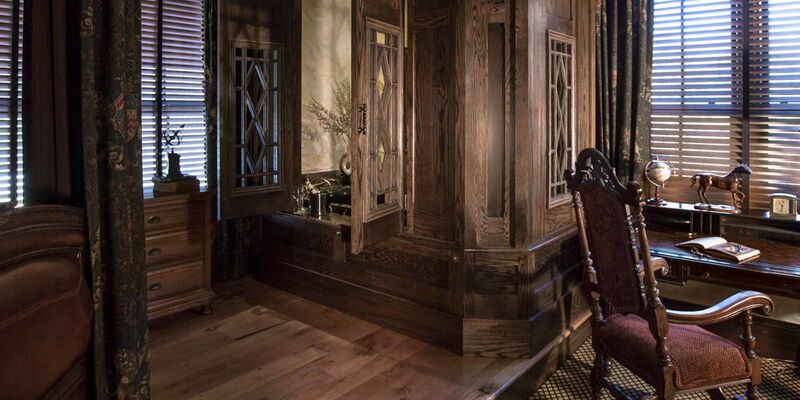 Don’t miss a distinctive element of this hotel suite in Newport: a six-foot Jacuzzi tub enclosed within oak cabinetry featuring Tudor-style grates. 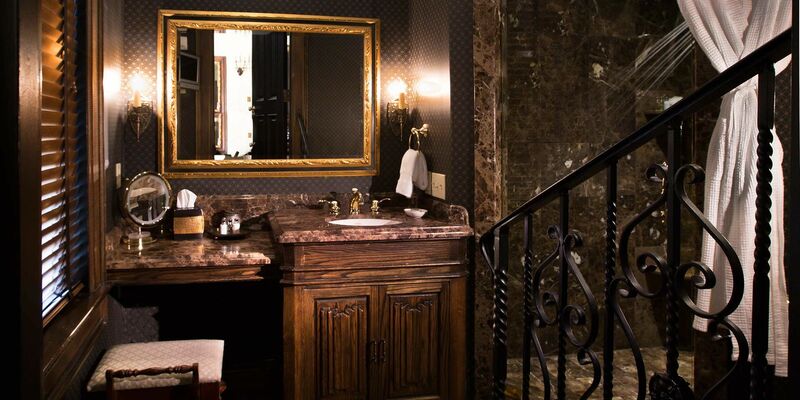 And after a long day of exploring Easton’s Beach and the Newport Mansions, retreat to your step-down bathroom decorated in Emperador dark brown marble to engage in a spa experience with one of multiple body jets in your large shower. The English Tudor Room is located on the second floor and requires climbing one flight of stairs. Please note: The Chanler does not have an elevator. Take a Newport, RI vacation where Tudor castles meet serenity and discover a blissful oasis situated amongst plush gardens and famous attractions.